The best place to find a nanny or babysitter is through word of mouth. Ask your friends, family and neighbors if they know of any good nannies and babysitters in your area. Most are willing to share a good babysitter since they are only using them occasionally when needed and it’s a nice gesture to give your babysitter referrals. If word of mouth doesn’t work to find a babysitter, try putting up a flyer at your church, local coffee shop or market. You can also look and see if any babysitters have left their phone numbers on the message boards for families to call. Another way to find a babysitter is to place a classified babysitter ad in your local newspaper. 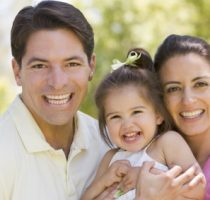 A great way to find a nanny or babysitter is through a reputable online nanny service, like NannyCare.com, where you will find a large pool of nannies and babysitters looking for jobs in your town. You can view their profiles with bios, work experience, references, reviews, qualifications and more. Most online nanny services also offer nanny background checks. Lastly, if you don’t have time to do the screening yourself, you might want to use a local nanny agency. We recommend using Loving Nannies if you are in Southern California. They have helped over 5000 nannies and families since 2000. For other cities, we recommend going to nanny.org and looking for a nanny agency member near you.